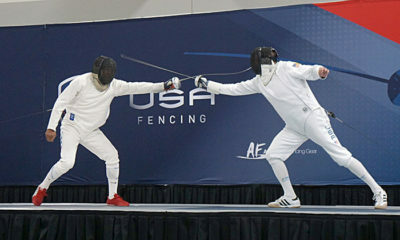 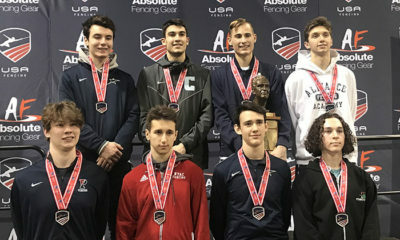 Just four weeks after winning the gold medal at the October NAC in Anaheim, Stephen Ewart has done it again, this time in Junior Men’s Epee at the November NAC in Kansas City, Missouri. 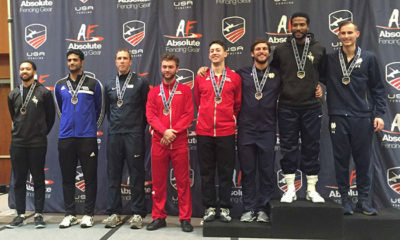 Congratulations to Stephen and all of our medalists. 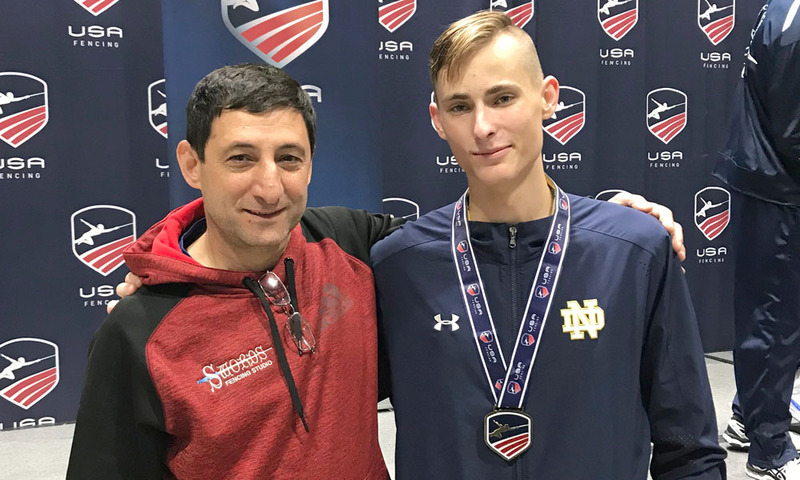 Swords coach Tigran Shaginian with student Stephen Ewart after his second national gold medal in as many months. 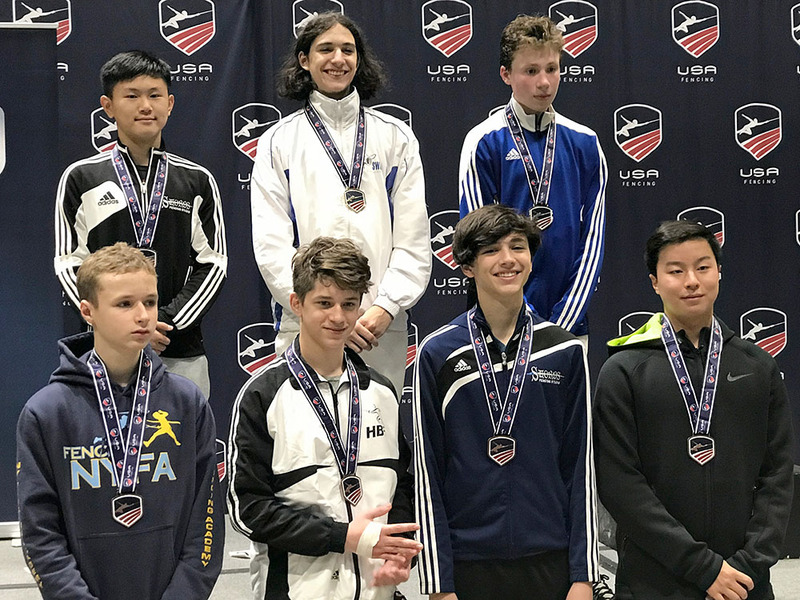 Y-14 Men’s Epee, SoCal medalists: 3rd Place – Wilson Zhu (back row, far left); 6th Place – Stafford Moosekian (front row, second from right).